Home/ Blog / Question and Answer/ Let’s Look At The Bright Side. Q & A from the October issue of the Mammoth Real Estate Times, out today! Q: Some of your recent columns have been rather critical and negative. But we know you can be very positive, so tell us some of the positive things you see in the local market. Tell us what you’re seeing that we, the second homeowner, aren’t seeing. A: Now that I’ve made everybody feel great about the sorry state of the Village, increasing interest rates on jumbo loans, stubborn sellers and the foreclosure market, let me get to the good stuff. So here comes the spin. Poor old Harry S. Dent, the economist who wrote all of Boom Ahead books, and who I’ve/we’ve been quoting and referring to the past ten years, got thrown a curve ball. Dent predicted that 2006-2011 would be the prime Boom time because the baby boomers would be in a double spending cycle––essentially the front edge and the back edge of the demographic wave both hitting peak spending simultaneously. What Dent wasn’t able to predict was the monetary policy of the early 2000’s combined with liberal mortgage programs that created a very low interest rate environment that subsequently moved the great boom forward a few years. But the good news is the demographics never changed. But the whole real estate party of 2002-2006, combined with events like the sale of MMSA, made some boomers buy earlier than predicted, while others decided to delay. 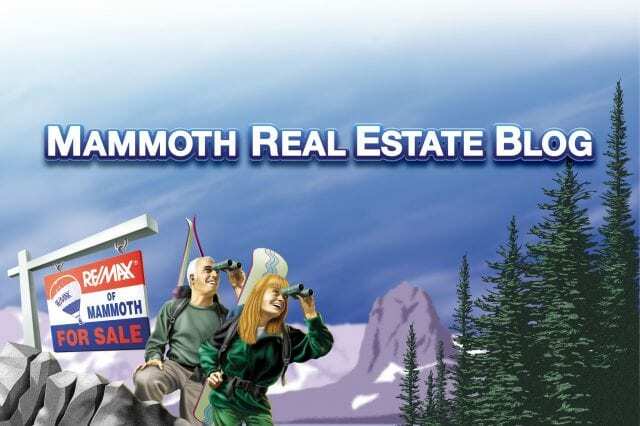 For Mammoth, the demand driven by boomer demographics is still with us. So now the market is sorting out the speculators and the non-committed. And where it is going to end up will be a function of supply and demand. But everyday we see another silver-haired 60+ year-old man (60 is the new 40, right?) and his lovely wife (grandma) come to town looking for their little piece of Mammoth nirvana. And most have the dinero to make it happen––and then some. So while the demand is finding its way, we still have the same old problem of scarcity. While there is plenty of land, they aren’t privatizing any more of it, except for Rusty––think Banff at Mammoth, a.k.a. 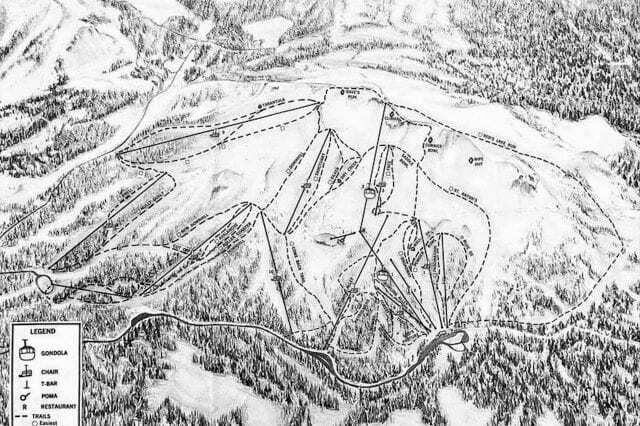 the 20 acres at Main Lodge/Mammoth Mountain Inn. But none for us “poor slobs.” And what the boomers are also figuring out is buying property in common ownership (condos) is less appealing all the time––especially newer ones with poorly formed and under budgeted homeowners associations or aging ones with large, looming assessments. The really good news is that there are still bargains in the single-family home market. It is almost an oddity that this market condition still exists. While there is plenty of land remaining to build condos, there isn’t any more remaining for the development of single-family lots. And at the build-out of Mammoth, condos will outnumber homes almost 5 to 1. And considering all of that, and the higher permit fees to build a new home, you can drive around Mammoth and find excellent buys on single-family homes and lots through most of the price ranges. Even funnier are the boomers buying these 2000 square foot “second homes” and after they start moving in they complain “it isn’t big enough”. So hence the next construction trend––add-on, remodel, maximize the lot and don’t forget to leave enough room for RV parking. The other good news is about the airport(s). Technology is going wipe out all of the past obstacles (maybe even the dreaded cross-wind). While it is very likely a variety of regular air service will be established in the next few years, the advent of very light jets (VLJs) will change everything. If you don’t believe me, do some research of your own. Small jet traffic is already significant and growing at Mammoth airport––privately owned, corporate, chartered, fractionals, etc. Jet fuel sales are soaring. Just because you don’t always see them on the tarmac when you drive by doesn’t mean they aren’t coming and going with regularity. And the VLJ industry (including Honda) and the commercial services that will come with it will change everything. Much of it is about efficiency and speed. We’re right on the inception and Mammoth airport is the perfect venue. Some of the other good things are a little more subtle. The new wing of Mammoth Hospital is open, for those who need a visit. Public transportation in the summer is an expanding and growing hit amongst locals and visitors. The new library is shaping up and I can’t wait to see what the inside is going to offer. And the hopes for a new, viable ice rink are actually “in the ground”. And one of Mammoth’s old movie theaters is successfully functioning as a venue for regular live performances. On the really subtle and rather boring BUT very important side: the fire protection in Mammoth Lakes has and continues to take a major step forward. The firebreak around the north end of town (Shady Rest/Knolls Loop/Scenic Loop) that was started in 2003, and looked horrible, is now cleaned up and looks fairly natural and had made for more enjoyable riding and cross country skiing. The fire danger in the Valentine Reserve and the south end of town is being addressed. The local Department is making property-by-property assessments of not only the residential properties (especially those in the more forested areas) but of commercial properties too. All of these efforts are long overdue and very commendable. This past summer gave us some new perspective. While the Wellness event was canceled, the events centered around music and alcohol were huge successes. (And the general consensus was that the alcohol wasn’t abused––just enjoyed.) I’m beginning to visualize trolleys full of folks pouring into Shady Rest Park for all kinds of events. Where’s the Grateful Dead when you need them? Oh Lord, I see people having Panic/panic attacks already. Do not buy in mammoth under any circumstance. Prices will fall so much over the next 3 years that places will get bought by firms in bulk for 20 percent of their 2003 prices. They will then be rented whenever they can for whatever they can to try to justify their 20% sale price. All those who bought will take a large loss and become less wealthy than the socal illegal immegrants that are unjustly descriminated against.